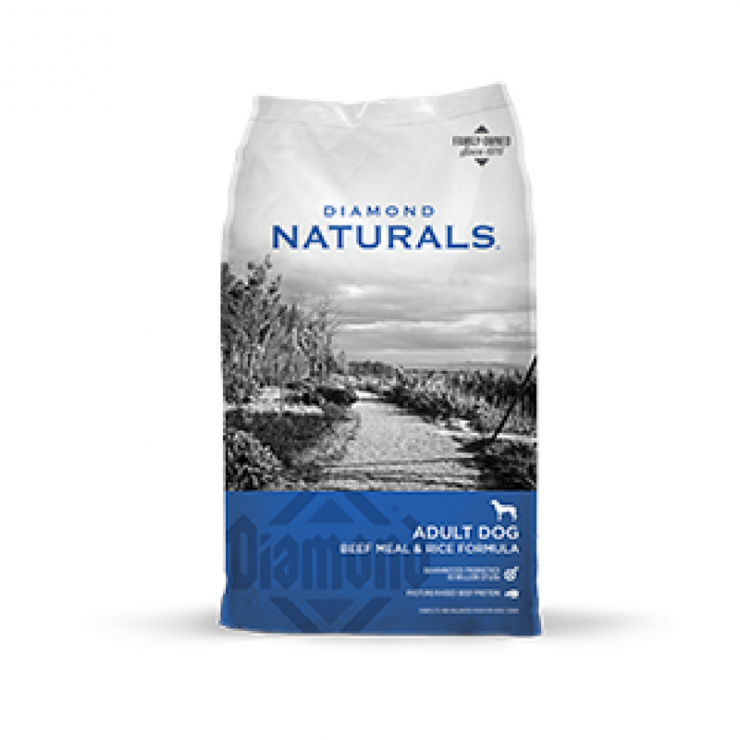 Diamond Beef Meal & Rice Formula Adult Dog Food is available for your adult dog at North Fulton Feed & Seed. Beef protein, along with added superfoods, provides the energy and muscle building blocks your dog needs to stay active and strong. Guaranteed levels of selenium and vitamin E ensure that your dog is receiving optimum antioxidant nutrition, while omega-6 and omega-3 fatty acids from superfoods help maintain healthy skin and a shiny coat.